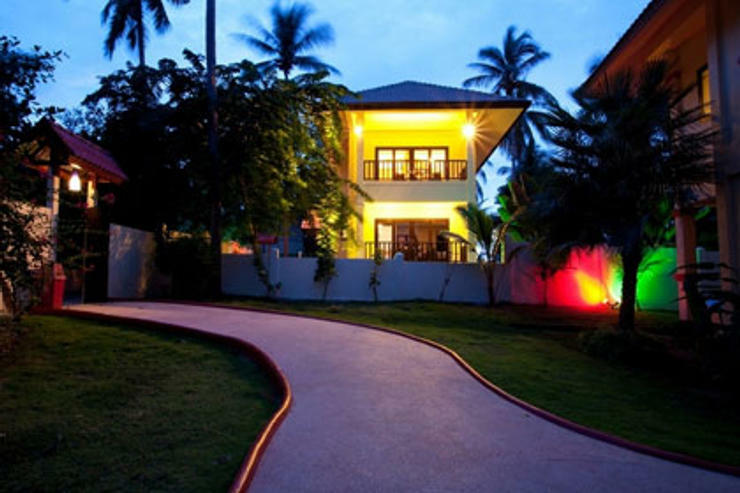 Located on the west coast of Koh Phangan on the Srithanu headland overlooking Woktum Bay. 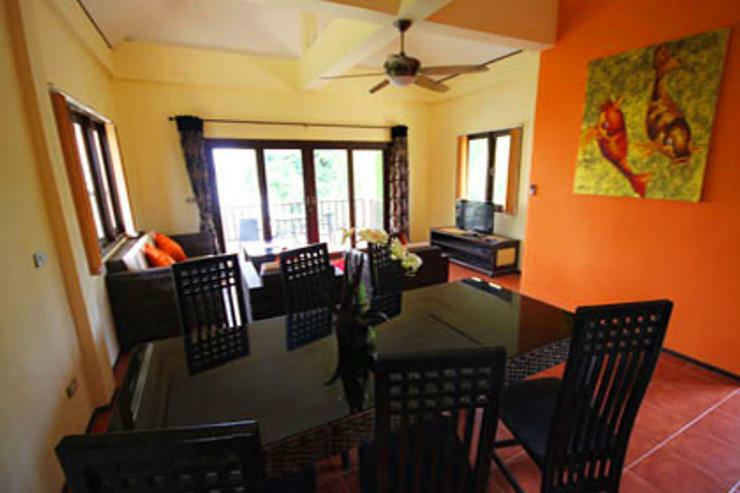 Just a 15 minute drive from the main town of Thong Sala and within easy reach of local restaurants and beach bars. 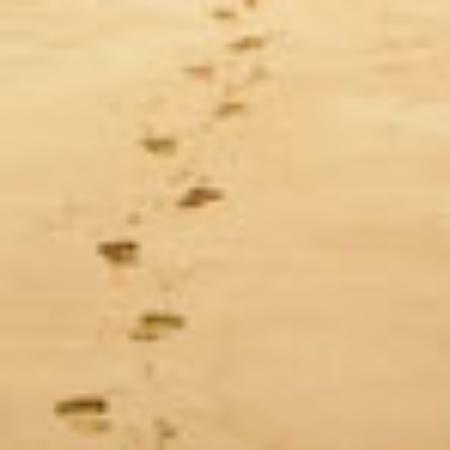 Private access to secluded beach within 9 metres of residence. 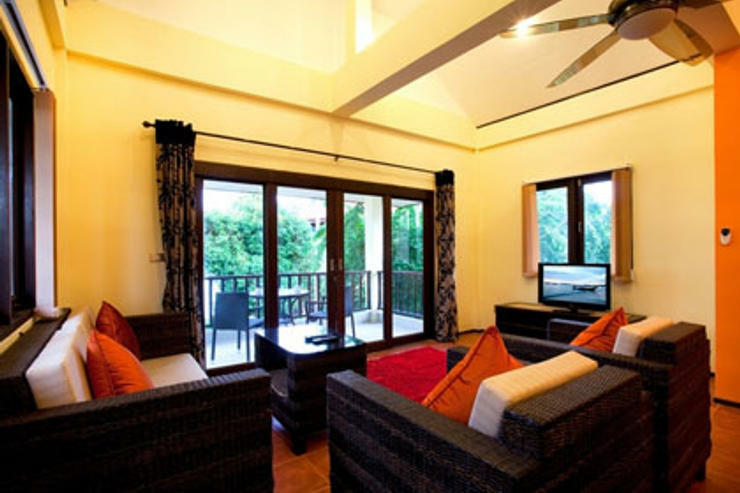 Bay View Villa is a recently refurbished modern spacious 3 bedroom, 4 bathroom villa situated on the unspoilt island of Koh Phangan. The villa enjoys wonderful sea views nestled between towering palm trees and just a few steps to the beachfront. 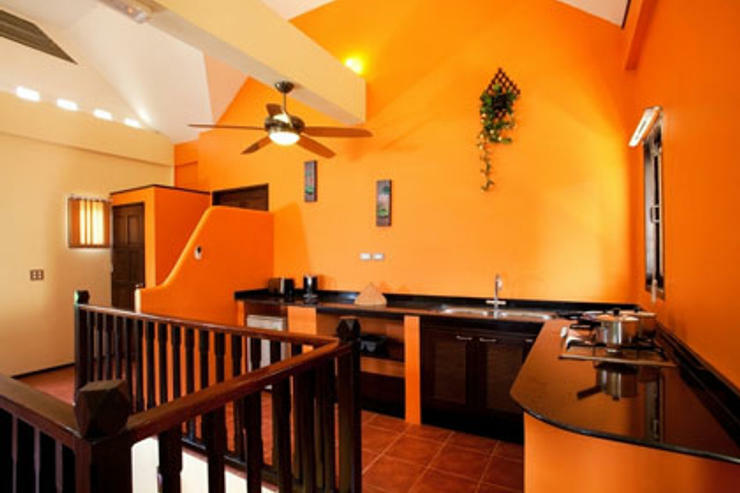 The villa has a fully equipped modern kitchen with a dining table and chairs. The spacious lounge has a flat screen television with full satellite package, a stereo system and bespoke sofas. Ceiling fans keep the room cool and comfortable. 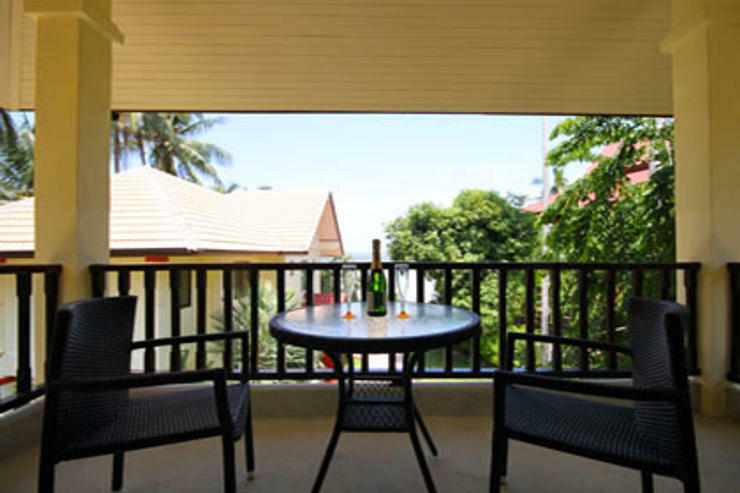 The room opens onto a terrace with seating where you can enjoy the lovely views and the sea breeze from the bay. This room also has a guest bathroom for your convenience. 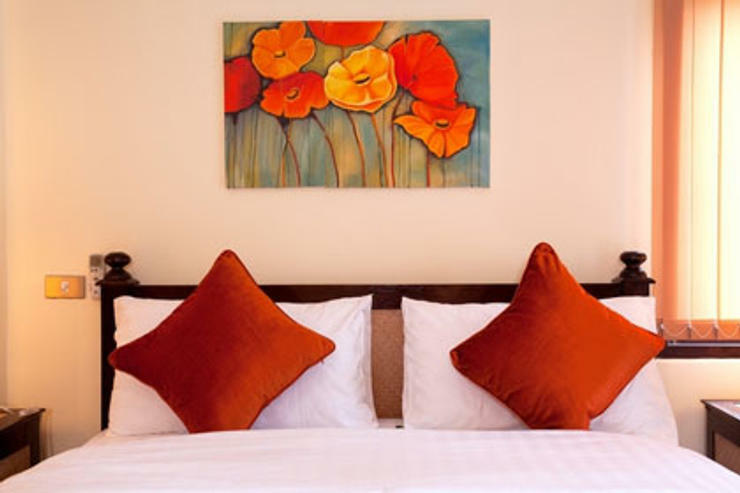 The 3 bedrooms are all furnished with bespoke furniture and luxurious bed linen and are all en suite with walk in showers. The master bedroom enjoys the same view over the bay as the sitting room, complete with its own terrace and seating. With both air conditioning and a ceiling fan you have the choice of how to keep cool on balmy nights. 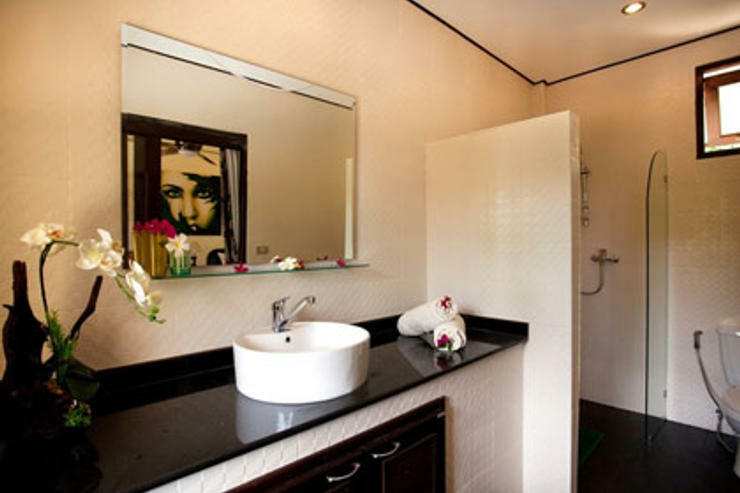 The en suite bathroom is very spacious and has a walk in shower, cool white tiles and chrome fittings. 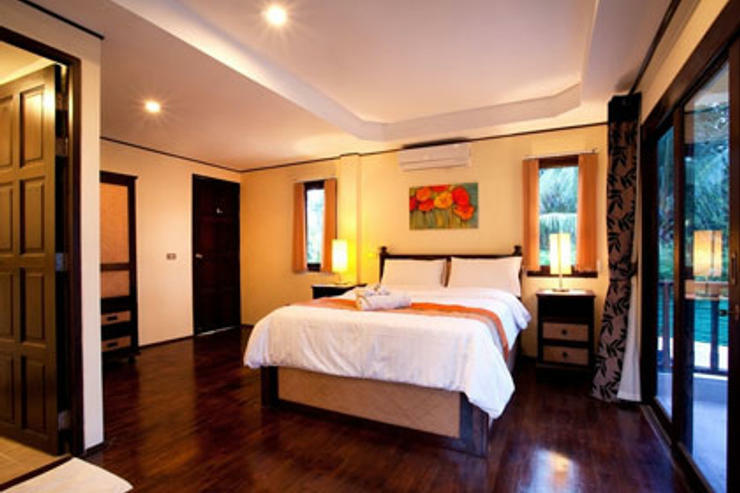 The second bedroom also has air conditioning and a ceiling fan for your preference. The terrace in this bedroom has a garden and mountain view, again with seating. This room also has a spacious bathroom with a walk in shower. 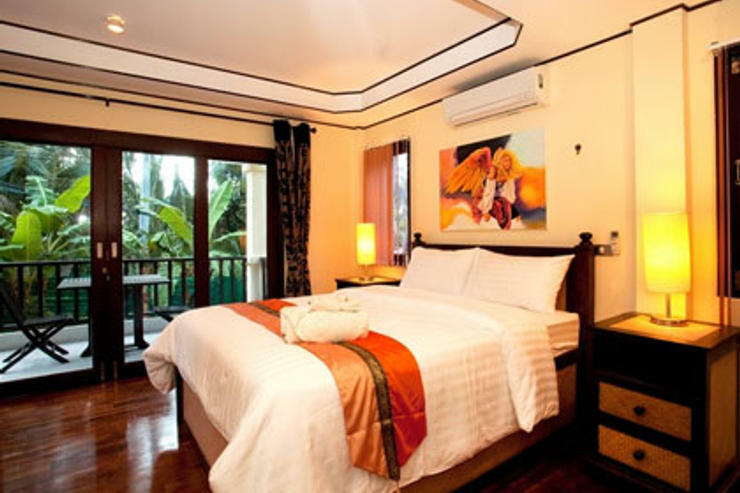 The third bedroom is a twin room with a ceiling fan overlooking the garden and pool. The bespoke beds are perfectly complimented by the luxury bed linen and cool tiled floor. This room has a beautifully tiled en suite bathroom with hand cut granite mounted hand basin and a walk in shower. 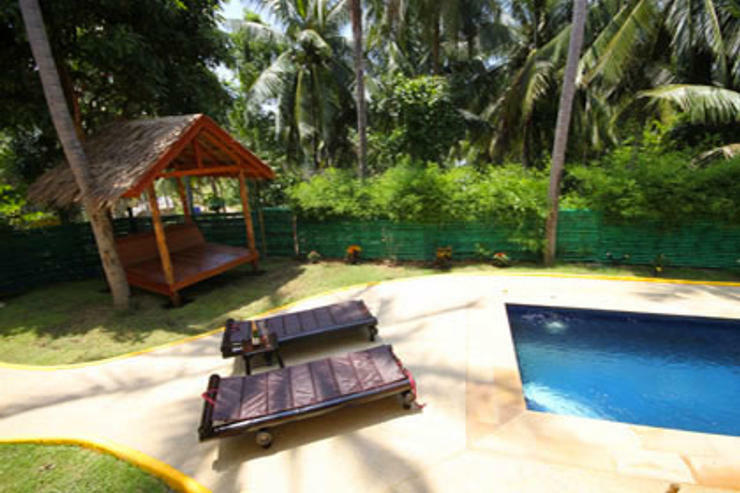 Surrounding the house is a well stocked garden with tropical plants, bamboo and palm trees. 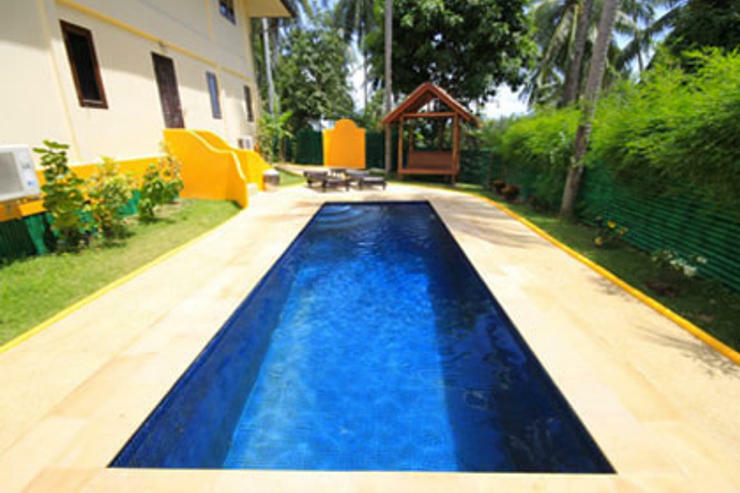 The villa also has a large outdoor shower for your use beside the pool. 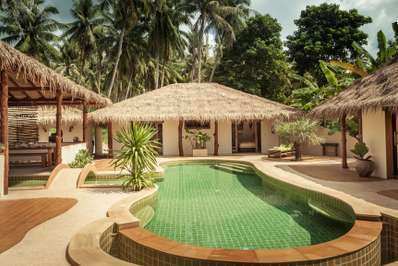 A large leaf traditional Thai sala is also beside the pool for a welcome escape from the dayï¿½s hot sun. The pool has sun loungers for relaxing and soaking up the sunï¿½s rays for a perfect tan. 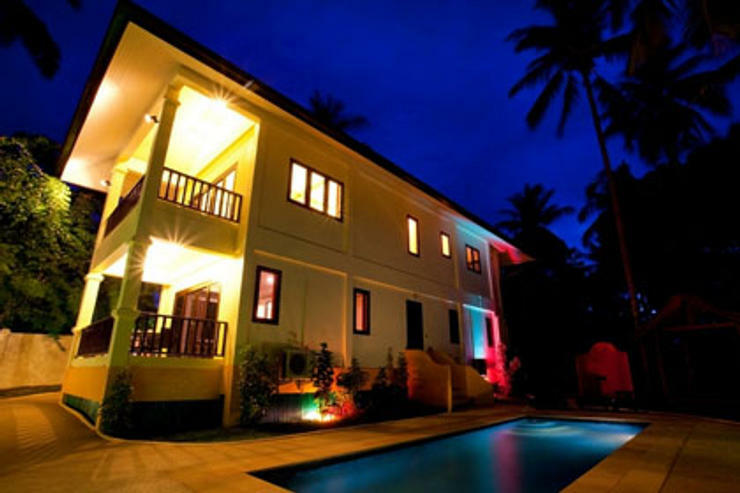 The villa has a daily maid service, the beds are changed every third day and towels are provided as required. We also provide beach towels for swimming or just relaxing by the pool. 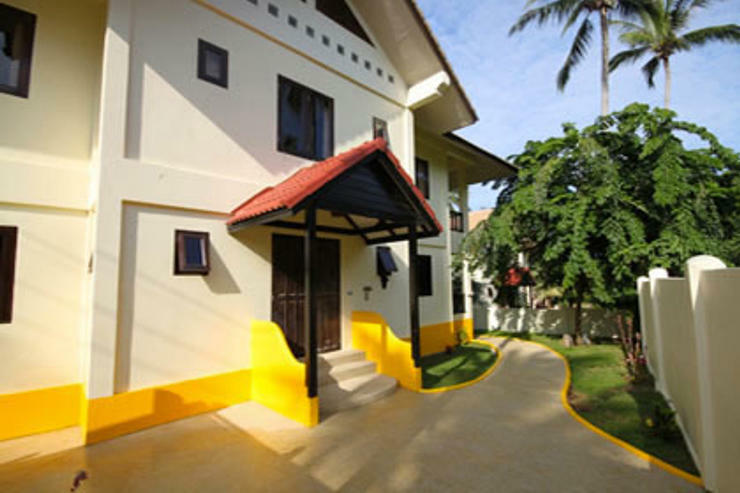 Bay View is situated a five minute walk from the quaint village of Sri Thanu which has a variety of traditional Thai, Italian, European and steak restaurants. It also has a 24hr grocery store, a pharmacy, ATM machines, clothes and souvenir shops, an internet cafe, a bakery/coffee shop and a weekly market. Just a little further past through the village is a beautiful wine bar/restaurant which has scenic views across Sri Thanu lake. This is the site of the former tin mine which in time gone by was a hive of industrial activity. All signs of the mine are now long gone and the lake is stocked with a wealth of fish and wildlife. Fishing is strictly forbidden on the lake to preserve the area for all to enjoy. 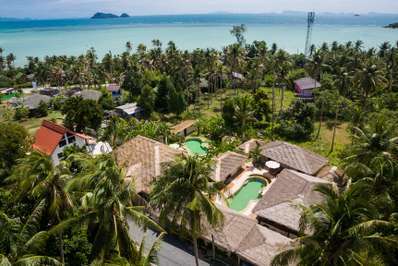 A short drive and you arrive at the famous diving beaches of Haad Yao, Haad Salad and the beautiful sandy beach of Koh Mar which has a natural walkway across the sea to the small island of Mae Haad. The port of Tong Sala has a regular ferry service to Koh Samui, Suratthani and Koh Tao. The ferry journey is half an hour from Koh Samui to Koh Phangan and our staff will collect you on your arrival at the port. The bustling town of Tong Sala is about a ten minute drive from the villa and is well served with shops, a variety of restaurants, bars, bakeries and pharmacies. It also has a night food market for you to sample the local freshly cooked cuisine. Every Saturday there is a walking street market where all the bargains are on offer with many varied stalls. There are two Thai boxing stadiums and various beauty salons which practice the ancient tradition of Thai massage and reflexology. A large part of the island is a protected natural zone and there are two waterfalls, jungle tours and for the more energetic amongst us mountain walking and rambling tours. There are also various boat tours for sea fishing, diving/snorkeling or just to explore the many varied beaches around the island. Angthong Marine Park is also a lovely trip for boat lovers, this archipelago of island is a protected natural park and one of the islands has an inland lagoon which is totally unspoilt. Swimming is not allowed in this lake to protect the beauty of the natural wildlife and plants. 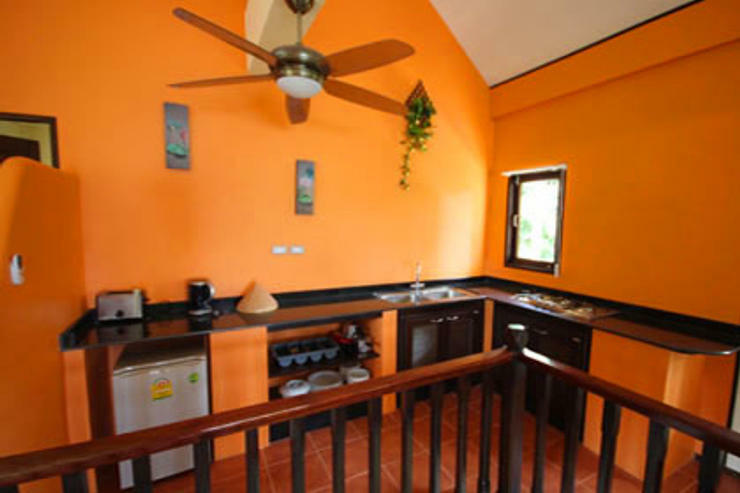 We think that Koh Phangan offers a wealth of activities and Bay View Villa is perfectly situated to enjoy them all. 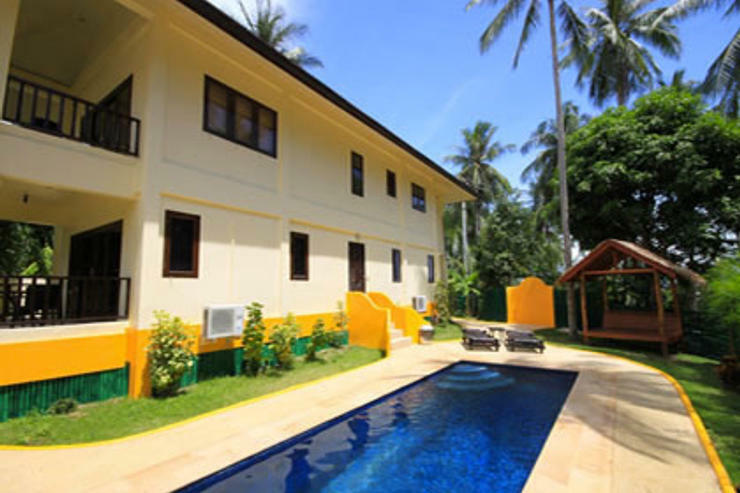 Located in Srithanu-Woktum, Koh Phangan. Baan Thamarchat is a in Thailand. 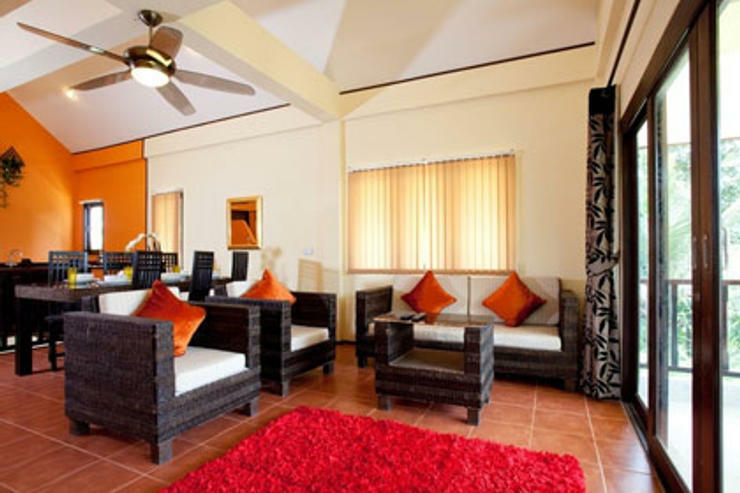 Located in Srithanu-Woktum, Koh Phangan. Baan Yai is a in Thailand. 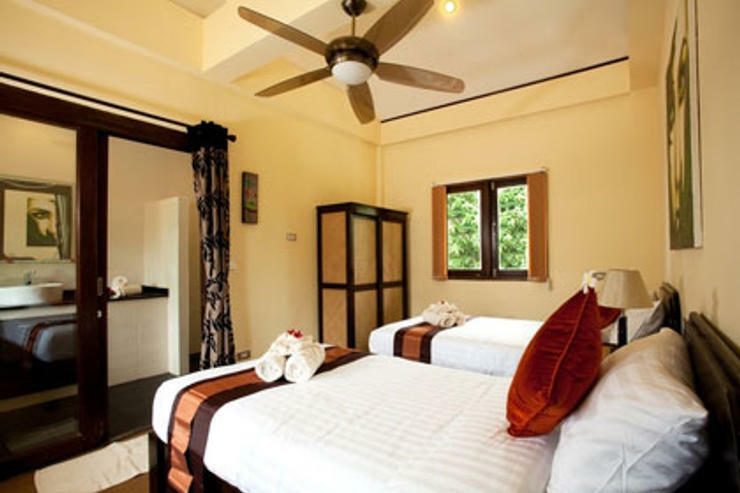 Located in Srithanu-Woktum, Koh Phangan. Baan Ya Kha is a in Thailand.